> Sip and Shop at L.L. Bean! Home • Events•Sip and Shop at L.L. Bean! Sip and Shop at L.L. Bean! The fan-favorite Sip and Shop series is back this Fall! 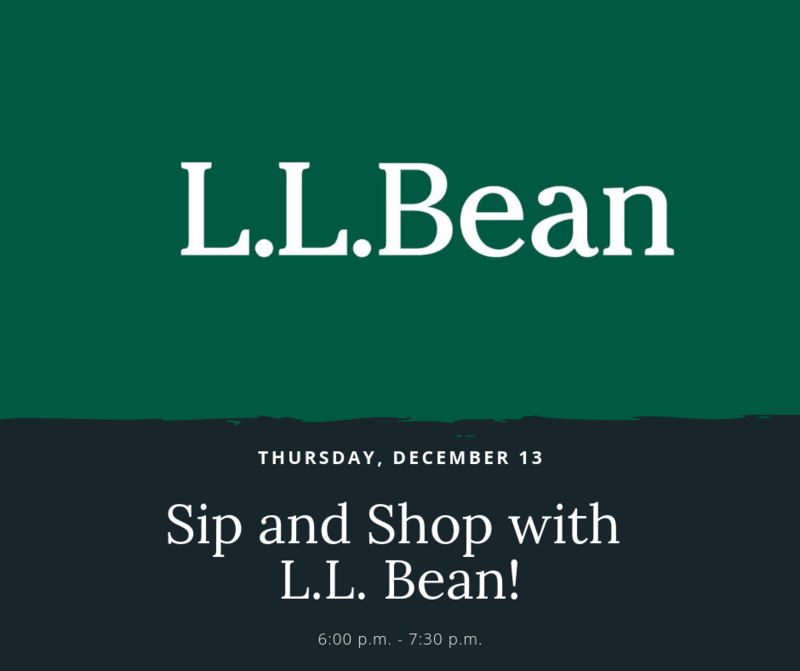 Join us Thursday, December 13th from 6:00 p.m. to 7:30 p.m. at L.L. Bean where staff will let you in on great last minute holiday gift ideas along with showing you the latest outerwear best suited to tackle Cleveland’s winter! Enjoy delicious refreshments courtesy of one of the Legacy Village restaurants and enter to win opportunities courtesy of Legacy Village while learning about seasonal fashion and functionality with the knowledgeable L.L. Bean staff! Check-in begins at 6:00 pm and the discussion will begin promptly at 6:30 pm. Food and beverages are available while supplies last.